JANINA KRONLUND. 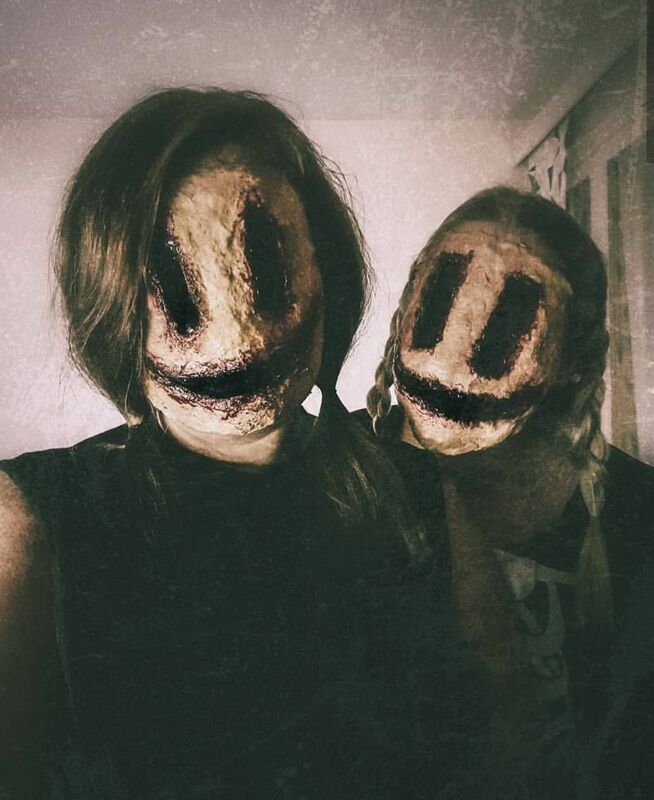 - Halloween 2018.
resultatet blev att flera ville ta bild med oss (då känner man sig lyckad) och flera blev lite småskrämda. rolig kväll men jag kan ju berätta att vi drog huvorna långt ner över ansiktet när vi traskade till krogen. tänk om man hade stött på en tant på hundpromenad, tycker redan synd om tanten även om det här inte ens hände. hade jag stött på en sådan här i en mörk gränd hade jag sprungit så fort benen bara orkat. vad säger du, skulle du springa? //the real deal celebration date for halloween is october 31st. if that is not during a weekend, halloween should be celebrated the weekend before; otherwise people get confused and tend to mix it up with all saint's day which is a christian tradition "celebrated" the first november weekend. there are no actual celebrations, but we like to light candles and remember the ones who have already left us. my favourite bar oliver's inn always picks the right date for the halloween celebrations and that's where we've gone the last couple of years. emma had an idea for this years mask and I was not late to join that craziness. it took us three hours of colours, tape, cotton, latex, foundation, blood paste and sticky blood but the result came out great. sounds fresh, I know. our make up masks resulted in people getting frightened and some even wanted to take our picture. feels like we had made it. such a fun night, but I'm telling you, we really wanted to hide in our jackets when we walked to the bar. just imagine meeting an old lady walking her dog. I already feel sorry for her even though this didn't even happen. if I had met a creature like this in a dark alley I would have ran as fast as I could have. what do you say, would you run if you saw these?